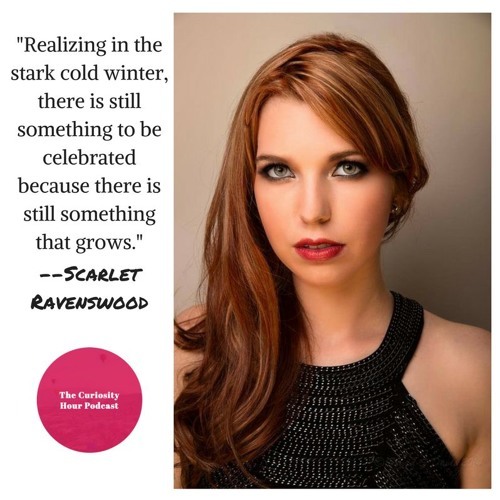 Season 3, Episode 49 - Scarlet Ravenswood Dan Sterenchuk and Tommy Estlund are honored to have as our guest, Scarlet Ravenswood . Scarlet is a professional tarot reader and owner of Arcane Alchemy; a website dedicated to exploring our world through Paganism and magic. Her writings have been featured in several spiritual publications and she is regularly interviewed on various Pagan podcasts. Her website is: http://www.arcane-alchemy.com The Curiosity Hour Podcast is hosted and produced by Dan Sterenchuk and Tommy Estlund. Please join our Facebook Group, The Curiosity Hour Podcast, to continue the discussion about this episode online: www.facebook.com/groups/thecuriosityhourpodcast/ Disclaimers: The Curiosity Hour Podcast may contain content not suitable for all audiences. Listener discretion advised. The views and opinions expressed by the guests on this podcast are solely those of the guest(s). These views and opinions do not necessarily represent those of The Curiosity Hour Podcast. This podcast may contain explicit language.